My skin feels and looks great! Thanks again Tracy! So thrilled with results. Loved everything about my experience. Thank you and thank you for reaching out. "Fantabulous Facials!!! Tracy's facials and massages are truly magical. Her energy is so tranquil, yet powerful, and very nurturing - and her technical competence is unsurpassed. I love love love her work! Go - you won't ever regret it." "I just have to comment on Tracy's professionalism and amazing gift as a healing therapist. I have known Tracy for several years as a co-worker and as her client. As a colleague, I deeply respect her ability to handle any situation with composure and grace...she is confident in her skills and rightfully so. As a seasoned esthetician myself, I am incredibly picky at who touches my skin...and Tracy is the only person I trust to do so. Tracy has been helping me with my back for several years through her wonderful insight and massage mastery. She has been able to bring significant relief to the pain and exhaustion I have experienced due to scoliosis. Having either a facial or back work done is such a wonderful and healing experience physically, mentally, and emotionally. I live almost 2 hours away but she is so worth the drive.  As a stone therapist, Tracy rocks! (Pun intended!)" "Recently, I had a massage with Tracy Ostrom. It was absolutely amazing. She has a true gift for healing. I've had massages from therapists all over the world and Tracy is one of the best I've ever had. She combines massage with hot and cool stones. The massage is much more effective and the results lasted longer. I feel truly lucky to have found her and will continue to drive to Boulder to see her. In addition, I plan to take my teenage son to see her because she has a method for treating acne that sounds quite promising! It's exciting to meet someone like her." "Wonderful & Awesome!!! Tracy is wonderful Her facials and massages are the best I have ever had !!! She really cares about her clients and takes the time to listen to your wants and needs. I also recommend the Rhonda Allison products that she uses. It has made a huge difference in the feel and appearance of my face." "Best Facial Ever!!! I just had a facial by Tracy about a week ago. It was the BEST FACIAL I have EVER HAD!!! By chin was really broke out and congested the day of the facial- It was almost healed the next day! My complexion is the clearest it has been in a long time. My face looks bright, pores and fine lines have really been reduced! My face really looks like it is glowing! The room I was in was really clean, calm, and soothing. Sheets and blanket that were over me were the softest I have ever felt! While the products were on my face Tracy also gave me an AMAZING MASSAGE. I left there feeling a million bucks, and a week later,.. I think my face looks beautiful- I can go to the gym and not feel like I have to cover my face with makeup! I also got some Rhonda Allison products from her (Green tea cleanser and eZinc moisturizer) that I think have really been great for my face too! I have been to many people in the past for facials and they made my face break out worse- Tracy is the only person I will ever trust my skin with. She really knows what she is doing. Who can ask for more when you can get a massage, facial, waxing, all in one place! Great customer service, peaceful environment, quality services, best facial around, wonderful massage. Totally relaxing. My skin feels amazing.